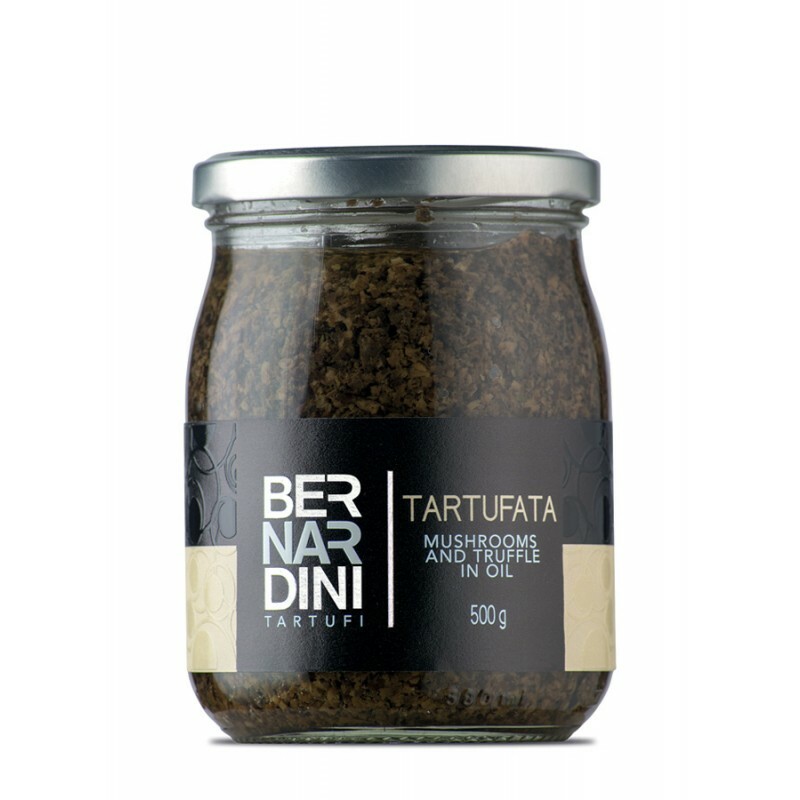 INGREDIENTS: ushrooms champignons 58%, sunflower oil, summer truffles ( Tuber aestivum Vitt. ) 5%, black olives, salt, flavour, aromatic plants, stabilizer: ferrous gluconate. USEULL INORATIONS: Ready to use. Add either plain butter or chicken stock and grated Reggiano Parmesan cheese to your liking. Avoid overheating lest the truffle aroma will fade. Use a condiment for first pasta courses: pasta and rice; meats, fish, boiled vegetables, eggs, warm crostini, pizza and stuffings for meats and pasta courses. PRESERVATION: 48 Months room temperature. Store at room temperature far from direct light and heat sources. Once opened keep in the fridge at temperature 0/4 C and use within few days.